This nine hour League of American Bicyclists (LAB) Class will be held on Saturday, April 16th, from 8:00 AM – 5:00 PM, at the WILMAPCO Building in Newark (http://www.wilmapco.org/directions-to-wilmapco). The instructors are Paul Hess, and John & Ceci McCormick. 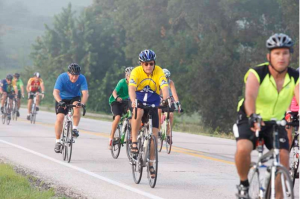 Participants will receive the LAB Traffic Skills 101 booklet, lunch, and classroom & road instruction including: bicycle selection and fit, bicycle maintenance, clothing & equipment, bicycle drills (emergency maneuvers), lane positioning, and principles of traffic law. The cost is $30.00 for WCBC Members and $50.00 for non-members. Contact Paul (pehess@comcast.net) by April 9th if you would like to register for this course. Minimum of four participants or the course will be cancelled. If you are a WCBC Ride Leader, the Club will reimburse you the $30.00 cost following your successful completion of the Traffic Skills 101 Course.